This is a refreshing thought amidst notions of war, burdens of financial crisis and crippling economies, havoc of all sorts that happen to humankind. We yearn for quick fixes, thus we talk and talk - do we listen? I listened to these words of Laura Miller's and my perception elevated over thoughts that are prone to bring us to the level of animals. We try to fix things with "toothpicks and bubblegum" and then we're surprised when it's a bad fix, even though there were words of warning an an early stage. The Narnia series as well as the Lord of the Rings series does show how average and ordinary people can be apart of something greater. That we can learn and grow and find a way to make a change. CS Lewis and JRR Tolkien wrote in very different ways, still their friendship and mutual ideas shines through when you step back and take a look at it. Have you noticed in Narnia (I've not read it though) that it has undercurrents of Christian cosmology. 7 series, a critic who wrote a book on Narnia series says, that 7 series of it represent 7 heavens. Do you agree? Have you noticed that the lens through which these writers write are composed of their culture, and primarily, their religion(s)? I don't know about the 7 heavens, I've never even thought about it, but both CS Lewis and JRR Tolkien did have Christian values that they weaved into their books. 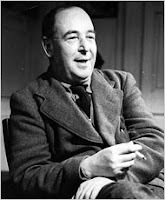 CS Lewis was of course much clearer about it than Tolkien but it's there if you look for it. They both experienced WW1 and how industrialism changed both war and everyday life. Being "romantics" they dreamed of a world that wasn't touched by the negatives of industry and where life was still "simple" and pure. There are no machines and industries in Narnia if I remember it correctly and in Tolkien's stories the machines and industries mainly belong to the evil side. Tolkien decided to create a new myth since he felt that Britain lacked good historical myths, but as you read the myth that he created ( mainly in Simarillion) you can still see how his Christian values are reflected in it. We are very much influenced by our roots when we write and create, no matter how we struggle to think differently. "We are very much influenced by our roots when we write and create, no matter how we struggle to think differently." That's inspiring. Our theology professor talked just the same thing. Thanks for the explanation. i've enjoyed it.